Did you know that there are correct and incorrect water levels for your bong and rig? Here’s hot to get the right water level for different devices. So you have a bong, or you’ve built a hell of an oil rig. Now what? Well, obviously it’s time to smoke. Hold your horses! Did you know that there are correct and incorrect water levels for your bong and rig? And that filling them with the incorrect amount leads to a crappy high? Bet you didn’t. Lucky for you, we’re here to help ensure that you get the most out of your new piece. Here is a guide for getting the right water level for various bongs and rigs. Who knew that when you filled a bong correctly, the high would be like cruising in a luxury vehicle, as opposed to a tractor going over an obstacle course? First, you need to be sure that they water flows through the percolator. Friends, if your bong is of superior quality, this won’t be an issue. For those of us that have a budget though, sometimes we don’t get as lucky. If the water doesn’t flow down instantly, blow into the mouthpiece to push the water down. Now, when it’s time to smoke, the water should not come all the way up through the mouthpiece – that is a serious no-no. Additionally, if you have a percolator, it’s should be cover by water. That’s something no one should ever refuse. The dab scene is exploding! You’ve bought some killer concentrates and have set up a whole rig, because please – you’re excited. Now, don’t mess up the water level. Similar to the water level in a bong, when you hit it, water should not be coming way up into the mouthpiece. If it is, pour some water out. You want the water in your rig high enough to bubble, but not high enough to splash you. 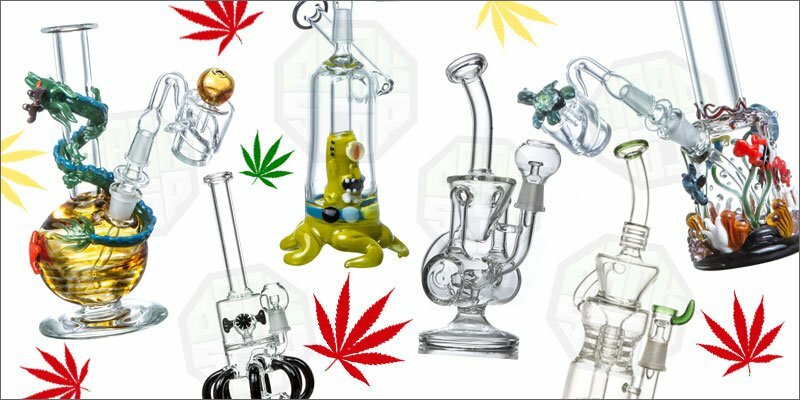 Many dab rigs have multiple percolators. If yours does, each perc needs its “own water.” If it hits clean, and the high feels perfect, you’ve hit your rig water-level sweet spot. It is now time to you to enjoy the plant. Remember, the water-level of your bong and rig is important, especially if you are trying to get the most out of your bud and concentrates. Pay attention to the bubbles, and where the water goes – all of this plays an important role in the maintenance of your new toy. Happy smoking! Pay attention to the bubbles, and where the water goes – all of this plays an important role in the maintenance of your new toy. Happy smoking!